Well, the answer is quite possibly, “No,” because of incredible research and ideas from some of the brightest minds in our field, supported by research funding through private and federal grants (keep up your support!). I am confident in my lifetime that there will be an active form of treatment for food allergies. I am always excited to talk to families about what's on the horizon. Let me review a few of these potential new therapies, without being too technical. This is not a complete list, but a few select areas that are “hot topics” in research. Before I talk about these therapies, it's important to remember that these treatments are still experimental and the safety of these treatments long term is not known. If you are thinking about a treatment like this for yourself or your child, please make sure to discuss the risks and benefits with a board certified allergist and only enroll in a study with an institutional review board (IRB) and a data-safety monitoring board. Allergen-specific therapies: these are therapies that work on allergies to a specific food. Food Oral Immunotherapy (OIT) — One of the hottest topics presented in recent years at our national meetings and medical journals involves a very measured and specific introduction of the allergenic food to the patient in an orderly manner. The research patients will eat a tiny dose of the food they are allergic to (like peanut powder for example), and gradually increase this amount over a short period of time until they reach a target dose amount. This is usually maintained every day and then at periodic intervals, the food is continually increased. In recent presentations of the data, the OIT studies have been able to temporarily desensitize many patients, but there have been more reactions during the building-up phase and “target dose” phase compared to some other treatments. Since these studies are still ongoing, it is not known how “permanent” the effect of this treatment may be once the daily ingestion is stopped. Long-term effects of these treatments are also not known as well as the duration required. Food Sublingual Immunotherapy (SLIT) — Much like ingesting a small amount of the food in OIT, this research uses a tiny drop of liquid containing the food, which is held under the tongue and then swallowed. Patients may start with a small number of drops each day and increase this over time. The results of these studies don't seem to be as robust as the OIT, but tend to have fewer adverse reactions. Epicutaneous Immunotherapy (EPIT) — This new technology is similar to using a nicotine patch if you're trying to quit smoking. Patients receive a patch that contains the food allergen. It is placed on the skin and releases small amounts of the allergen into the skin. Over time, theoretically, this exposure leads to the desired changes in the immune system. Baked Goods — Children with milk and/or egg allergies, who are also able to consume baked goods (i.e. cakes, cookies, muffins, etc.) but have reactions to plain milk or egg have been recently studied. If they are regularly consuming these products, recent data suggests that they may have an accelerated development of tolerance to the food (in other words, they have a faster track to outgrow the food). This practice is readily becoming more accepted and is a standard practice in many groups. Modified Food Allergens — The immune system of an allergic person recognizes specific proteins in an allergenic food (kind of like if I was “allergic to sandwiches” but my immune system only reacts to the lettuce in that sandwich). In the case of peanut allergy, we know that parts of the peanut protein which have names like “Ara h2” are the parts that the immune system develops a strong response to in some individuals. Through the power of biotechnology, researchers have been able to modify the areas of recognition so that the immune system could develop tolerance in the presence of other signals (like probiotic bacteria). In other words, in the example above, if I was allergic to “sandwiches” but my immune system only recognized the lettuce, this research would involve shredding the lettuce to change it into a form that is not as easily recognized by my immune system, and then give the sandwich to me battered and fried (addition of another signal like the bacteria). Food Allergen-Coupled Cell Transfer — A new technology used to “attach” peanut proteins to immune cells and then administer these cells back into the body has shown some promise in mouse models but is still far from human research. Researchers developed this technology by first studying it in models of autoimmune disease and then applying it to allergic diseases. The idea behind this research is that the food-coupled immune cells are placed back into the body where these cells degrade and then are used by the immune system to “re-train” it to be tolerant to the food. Traditional Chinese Medicine — The use of a mixture of Chinese herbs has been studied in the prevention of a severe allergic reaction (anaphylaxis) in patients with peanut and tree nut allergies. These herbs by themselves may alter the immune system to become “less allergic” in simple terms. In clinical studies thus far, the side effects of these herbal formulations are fairly mild. Probiotics — Beneficial bacteria that may induce changes in our immune system have been looked at in studies to prevent and treat atopic dermatitis (eczema) and in relation to these conditions, also food allergies. Studies in mouse models have had mixed results. My own research during my fellowship was focused on probiotics that could increase certain beneficial types of immune cells, but the results were mixed. Anti-IgE Medication — If you didn't already know, the “allergy antibody” is called IgE. This is a protein that our immune system makes which remembers the substances we are allergic to. Studies examining the use of medications that target the IgE antibody have shown some statistical benefit in increasing the threshold dose that would cause a reaction in an allergic person, but these studies are limited. These medications not only reduce the amount of specific IgE in the blood, they can also change the ways our immune cells can interact with the IgE. In recent trials, the use of the anti-IgE medication in conjunction with a specific food OIT has been ongoing. An important thing to keep in mind is that these therapies are still in research phases and may not be the ultimate “best treatment” for food allergies. Some therapies may not be able to achieve a “permanent” acceptance of the food allergen (what we call tolerance), but may only allow the body to “temporarily” be ok with some exposure while the treatment is being taken (what we call desensitization). There is also a possibility that reactions could occur during therapy, or that unpredictable side effects could arise (after all, you are putting a substance you're allergic to into your own body). Should you participate in a study if one is available near you? Participating in research is a great way to be part of history, potentially beneficial for you, and necessary for our field to progress. However, there are risks involved with any study and it is important to know if you would or would not be a great candidate for a study. I would recommend talking with a board-certified Allergy/Immunology specialist about studies in your area and if they might be right for you or not. 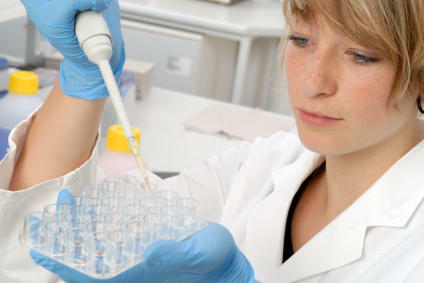 It is important to keep in mind that these are research protocols and there are some practitioners who offer treatments like oral immunotherapy (sometimes at a cost). This type of therapy is still not ready for clinical practice as more research is needed to determine the safety and long term effects. It is essential to discuss with your doctor what these therapies may or may not do, since none of these are a “cure” for food allergy (yet). If you want to learn more about research for food allergies, I would encourage you to go to the American Academy of Allergy, Asthma, and Immunology at www.aaaai.org or read about the studies themselves at www.clinicaltrials.gov (which is the site where most of the trials are registered). I remember the days when no one had e-mail or cell phones. My childhood phone had a curly cord connected to a base that had a rotary dial. In someone's imagination, there was a cell phone and then text messaging. Maybe one of these treatments is the next cell phone for the field of food allergy. Perhaps a brilliant scientist is dreaming up this idea right now and in the coming years, we'll see some more exciting research emerge. We can only guess what lies in the future, but for food allergies, it is definitely bright. Michael Land, MD, FAAAAI, is a medical advisor to Kids With Food Allergies. Dr. Land works in the Allergy Department at Kaiser Permanente in San Diego, CA. He is also the Associate Training Program Director for the UCSD Allergy/Immunology fellowship program and Volunteer Clinical Assistant Professor with the UCSD Department of Pediatrics. 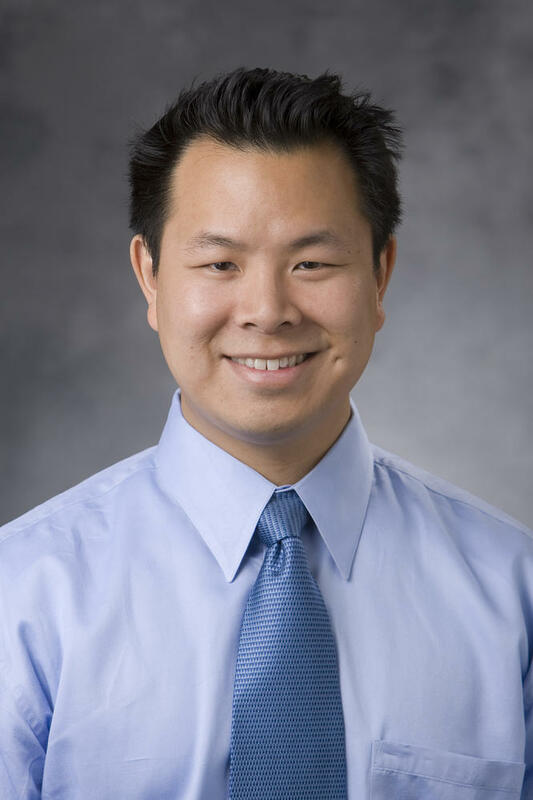 Prior to moving to San Diego, he was an Assistant Professor of Pediatrics in the Division of Allergy/Immunology at Duke University School of Medicine. Dr. Land has a special interest in food allergy as a parent of a food allergic child and has 4 family members with food allergies. His practice focuses on children and adults with allergic and immunologic disorders. Dr. Land grew up in North Carolina and attended the University of North Carolina at Chapel Hill, followed by Wake Forest University School of Medicine. He decided to move out west for a change and matched at the UCLA Medical Center for residency in pediatrics, followed by his fellowship in allergy/immunology there. After finishing fellowship, he joined the faculty at Duke, where he participated in research and teaching for the Allergy/Immunology training program for 4 years. Dr. Land worked closely at Duke with Dr. Wesley Burks, one of the world’s leading food allergy experts and a lead researcher in immunotherapy for food allergies. After having 2 rambunctious boys, Dr. Land and his wife decided it was time to head back to sunny Southern California. He is active in the San Diego Allergy Society where he currently serves as Vice-President, and the American Academy of Allergy, Asthma, and Immunology, where he serves as Past-Chair of the New Allergist/Immunologist Assembly and Chair of the Complementary and Alternative Practices in Allergy Committee.